This multi-functional men's grooming kit includes 3 interchangeable heads to achieve all your grooming needs. Grooming kit is designed for a quick, smooth and precise trim every time. All attachments are washable for easy cleaning. 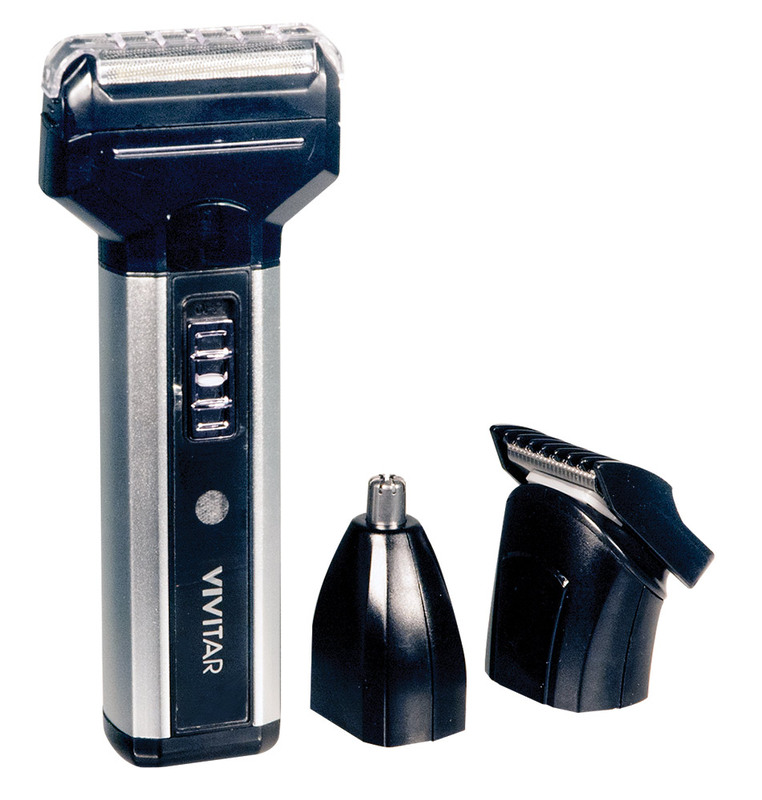 It is rechargeable and cordless; perfect for home and travel. Has up to 30 minutes of runtime on full charge. Contains foil shaver head with a pop-up trimmer, precision trimmer, nose ear trimmer head, power cord, user manual and 1-year warranty card.